If you are seeking advice on fare evasion, please get in contact with our criminal defence team. At Bloomsbury Law, we provide a bespoke service to advise you on all your criminal defence requirements. For a tailor made service on all criminal defence and litigation matters, call us at Bloomsbury Law on 0207 998 7777 for a free initial consultation or contact us via email so we may arrange a call back. Every passenger using public transport, unless authorised to travel by way of an issued Freedom Pass or Staff Pass, must purchase a valid bus or train ticket in order to travel. The ticket must be valid for travel for the whole journey, from getting on the bus or train to getting off it. The law is very harsh against fare evaders, so this is not a matter to be taken lightly. If you are suspected of fare evasion, you should seek advice from specialist fare evasion solicitors immediately. In the unlikely event that the passenger does not have a valid ticket for the purposes of travel and boards a bus or train, it is at the discretion of the Ticket Inspector whether to issue an on the spot penalty fare, or to take the passengers details for prosecution. If you refuse to provide your personal details, you may be arrested by the Transport Police under the Police and Criminal Evidence Act for failing to provide information. A fare evasion solicitor will be able to explain to you in detail regarding your particular situation. 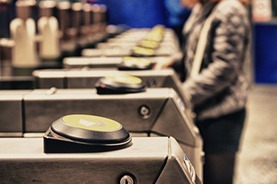 Penalty fares vary between the bus and railway companies, but generally amount to twice the applicable single fare to the next stop, in addition to the full single fare to complete the intended journey to the destination stop or station. At present, Ticket Inspectors are on strict instructions to deal with passengers who avoid payment by way of an intended report for consideration to prosecute. This is in order to deter passengers who avoid purchasing a valid travel ticket. There are valid reasons as to why such prosecutions could be challenged, and it is your legal right to do so, to avoid being summoned to appear before a magistrates court or to go to trial on a plea of not guilty being entered. In the event of a penalty fare being issued and you consider that such penalty is unfair, there is a process of appeal which must be issued in writing within a period of 21 days of the penalty being issued. The matter is then dealt with by an appeals service, being independent of the respective bus or train operating company. If you are seeking advice on fare evasion, please get in contact with one of our specialist litigation solicitors. We will listen to your situation, answer any enquiries that you may have, and advise you accordingly once we are instructed.